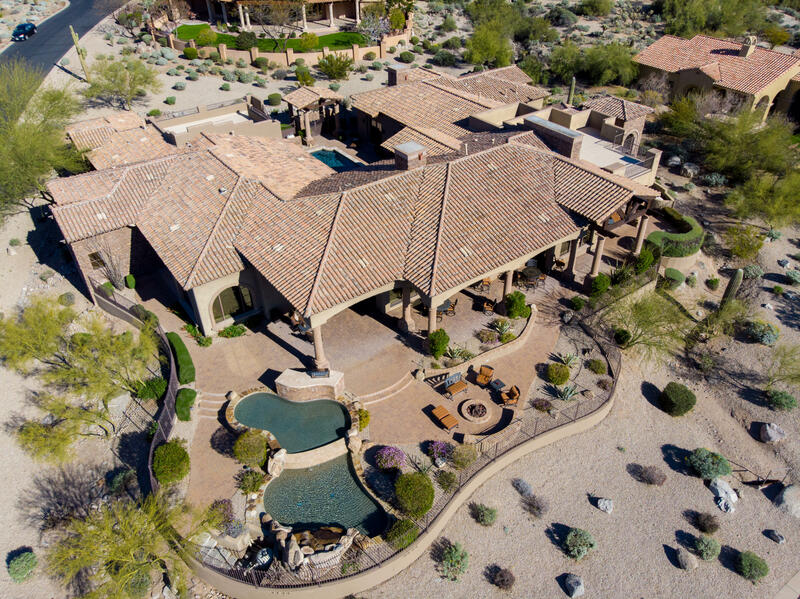 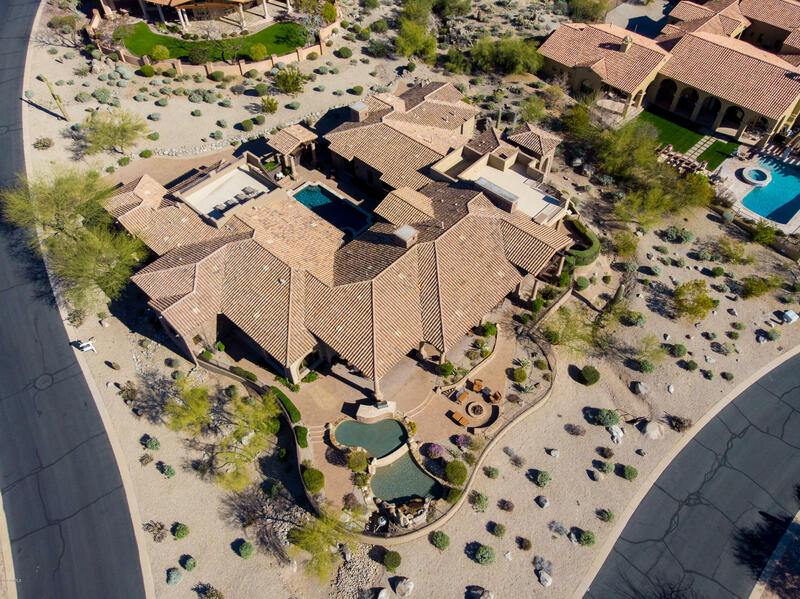 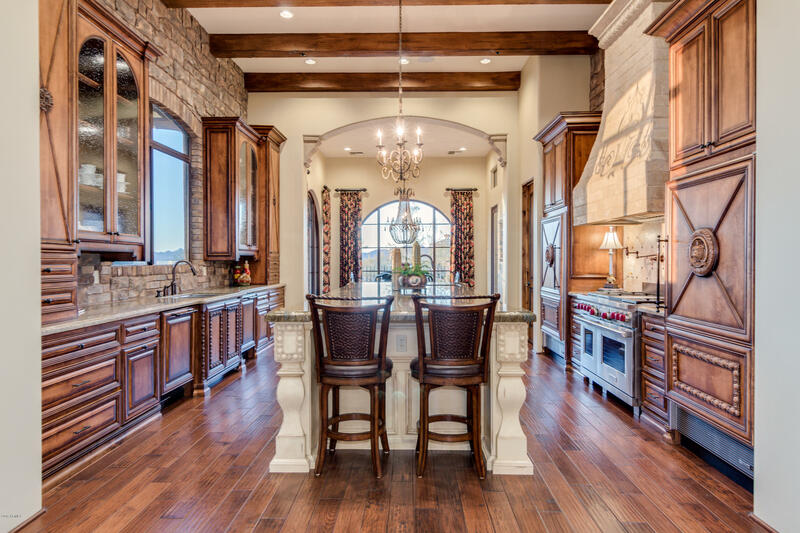 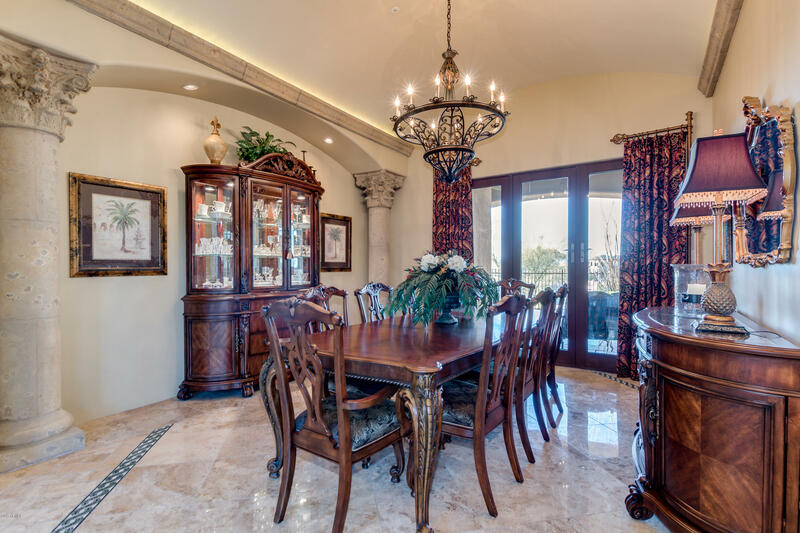 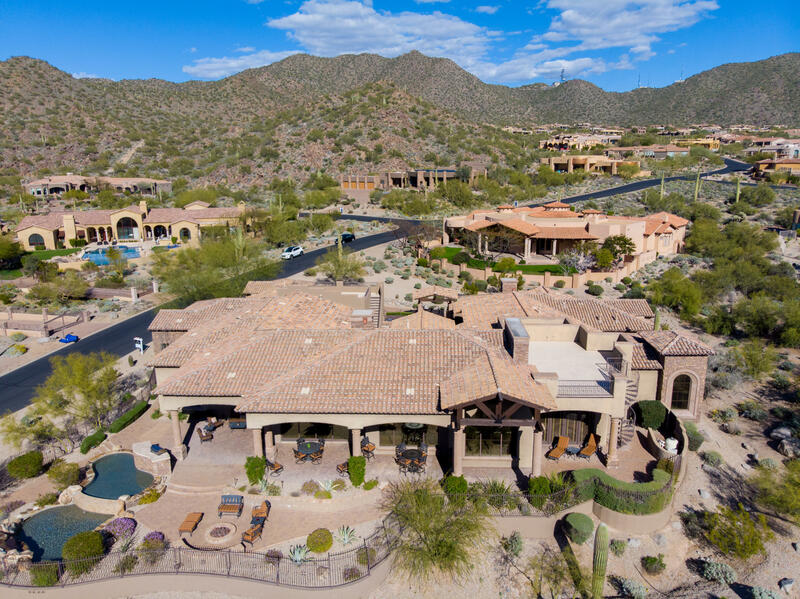 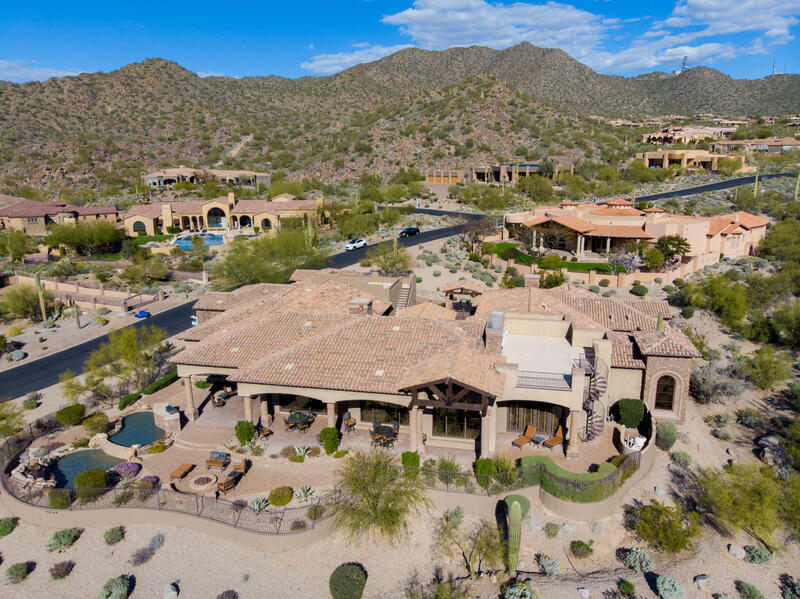 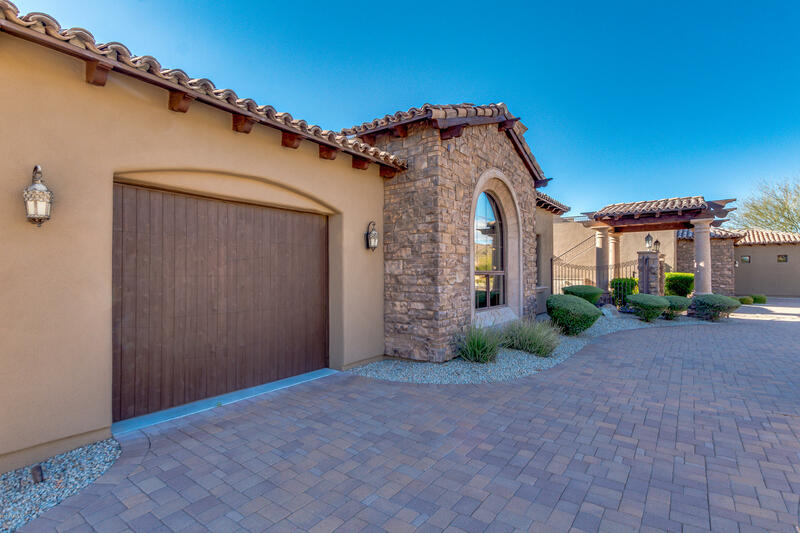 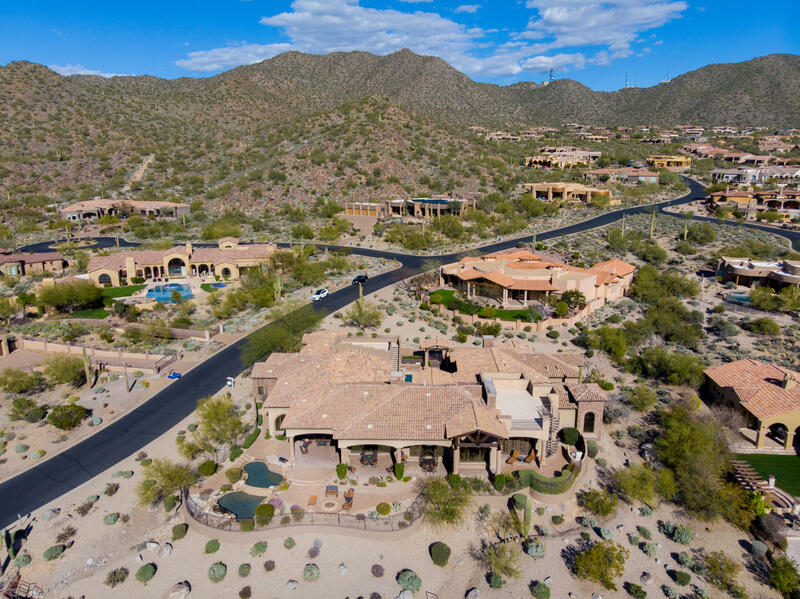 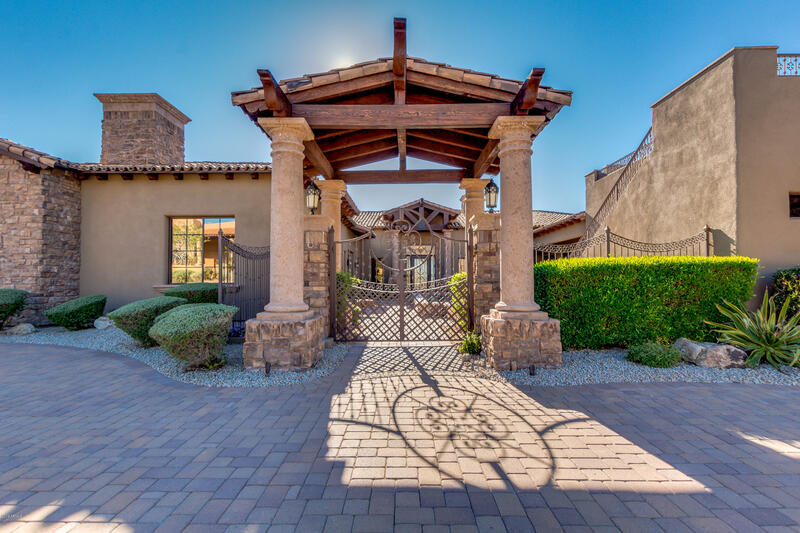 This timelessly-crafted majestic estate is elevated mountainside in the renowned Las Sendas golf community. 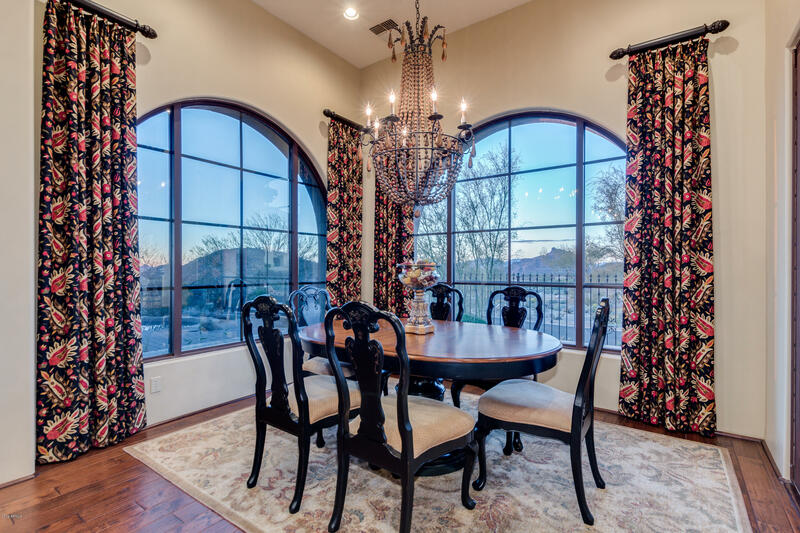 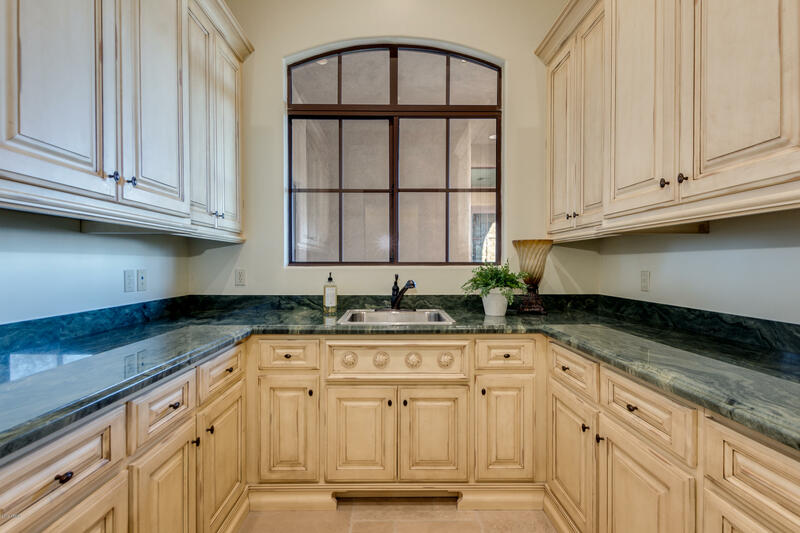 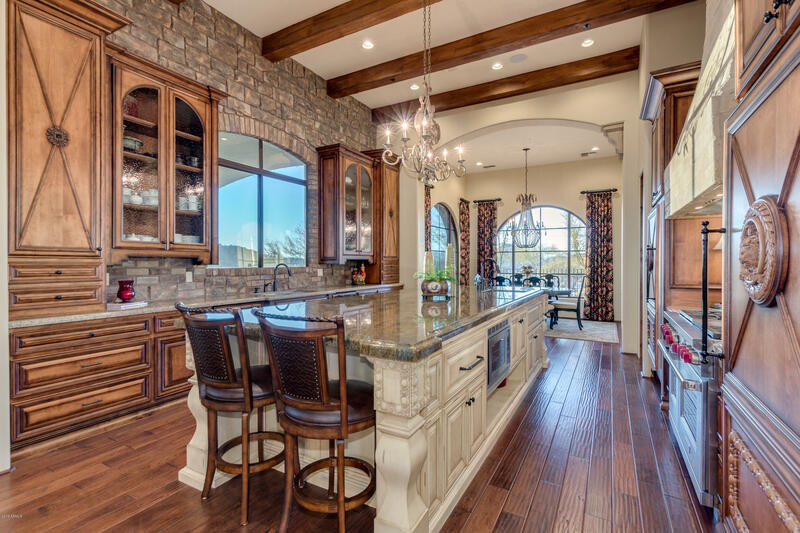 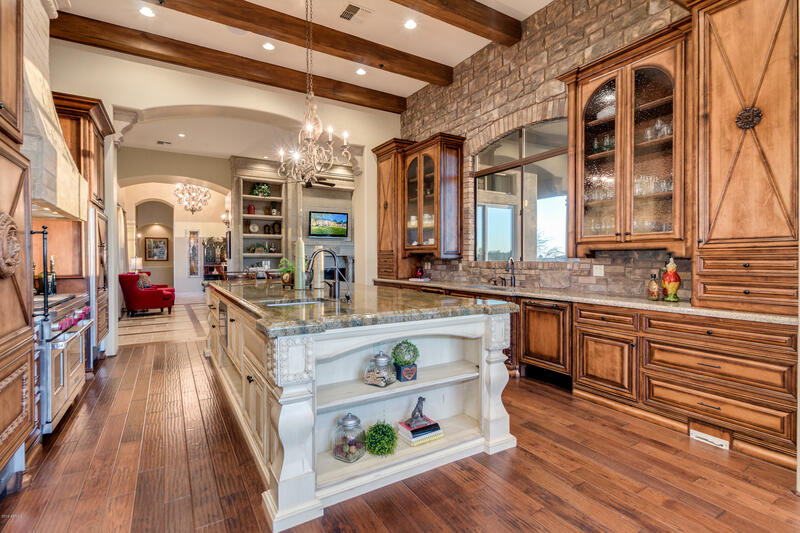 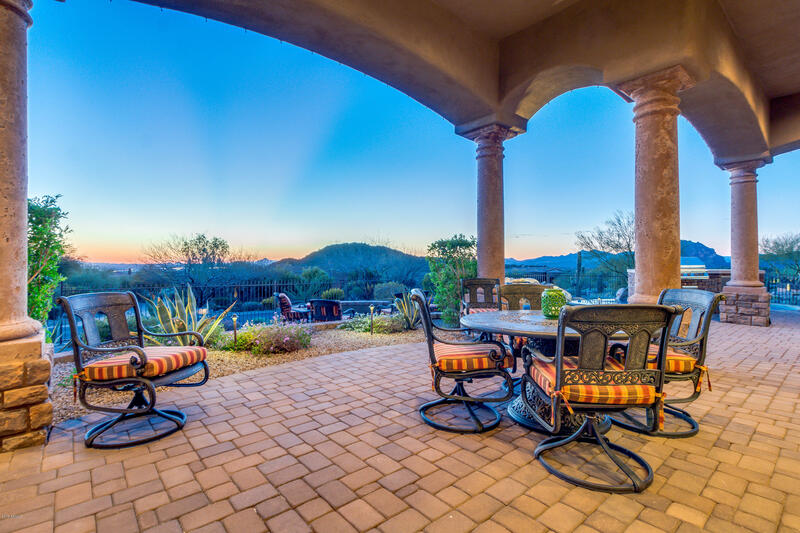 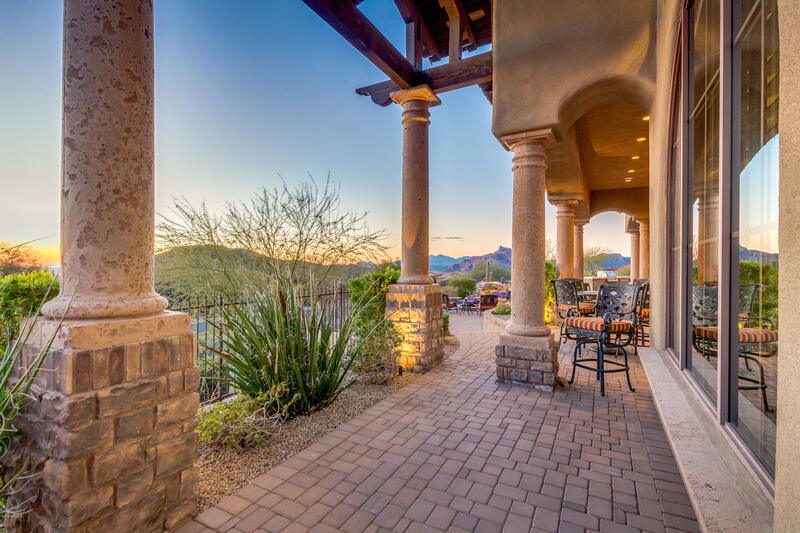 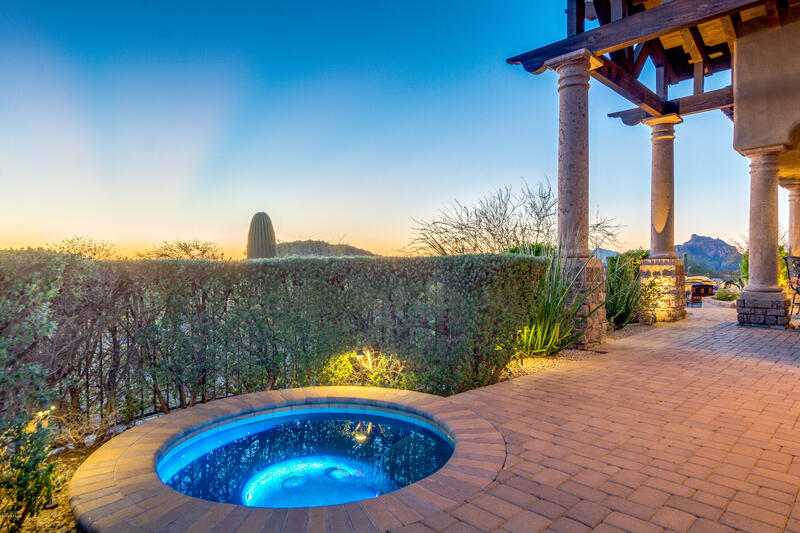 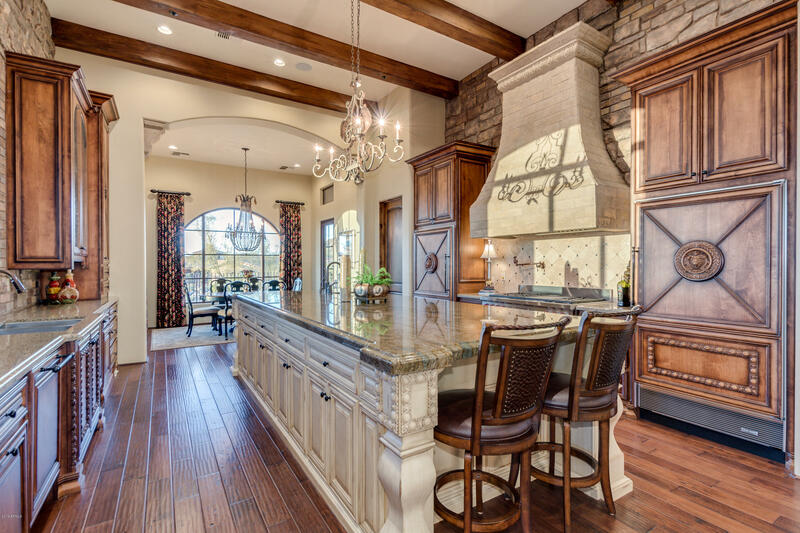 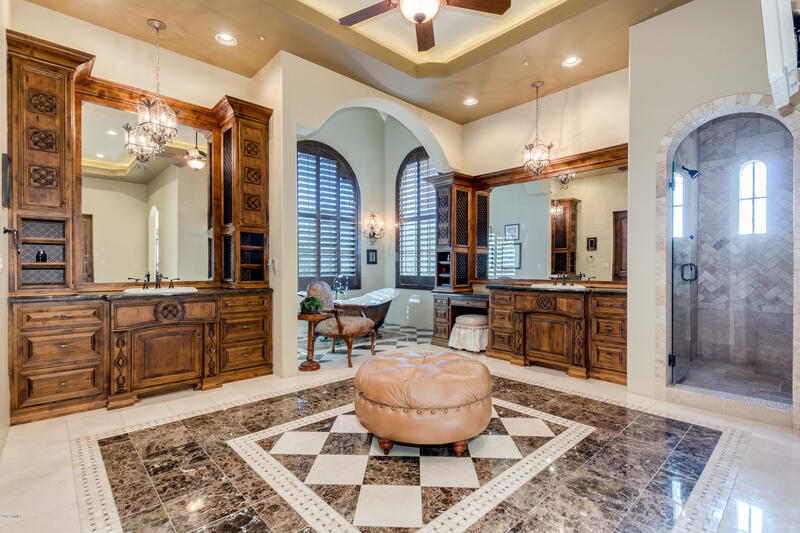 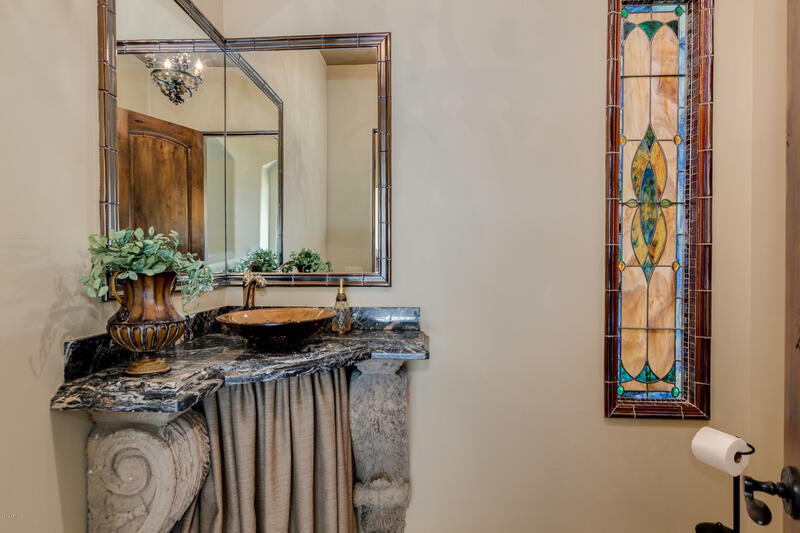 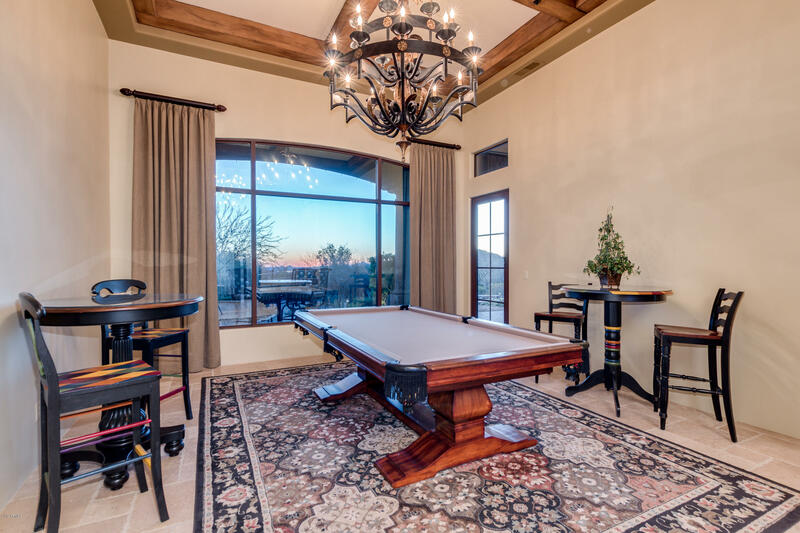 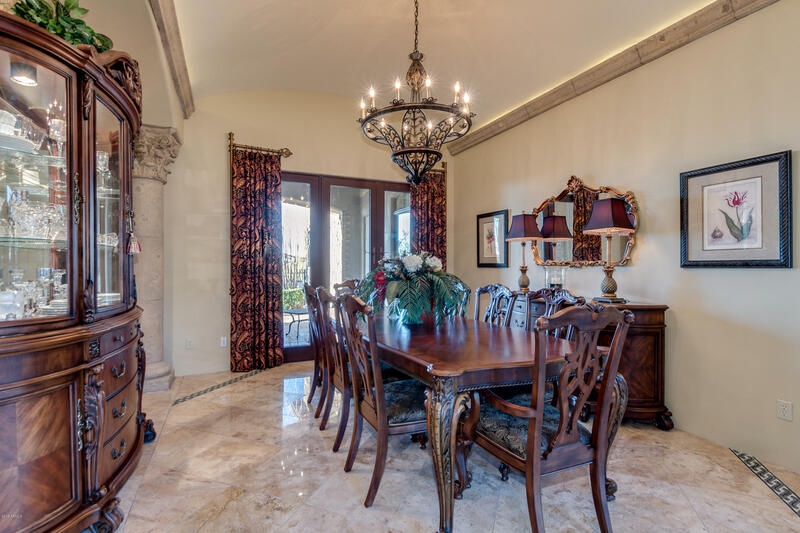 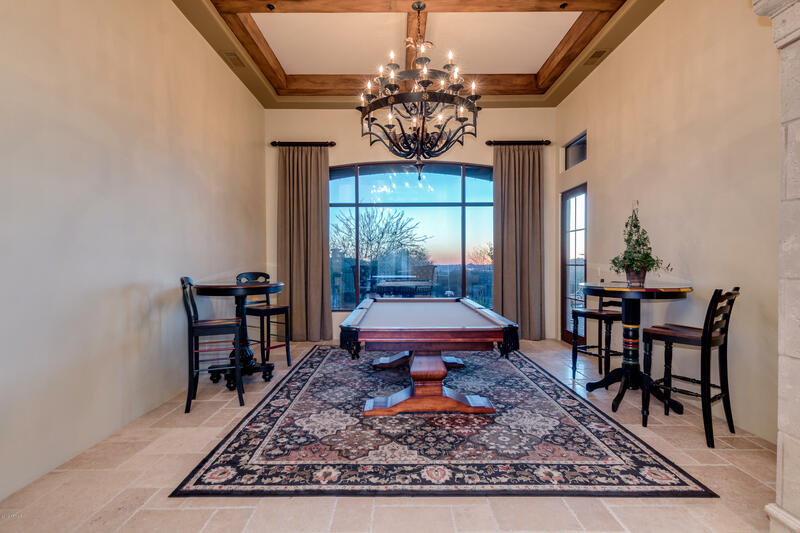 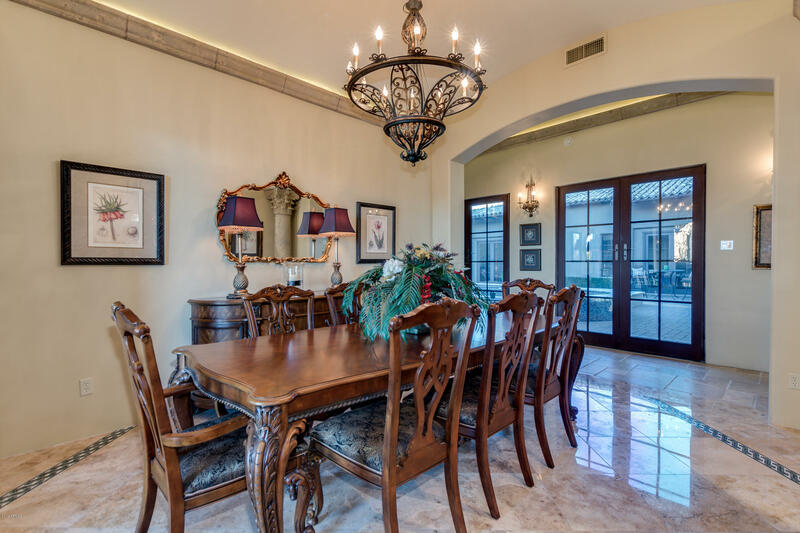 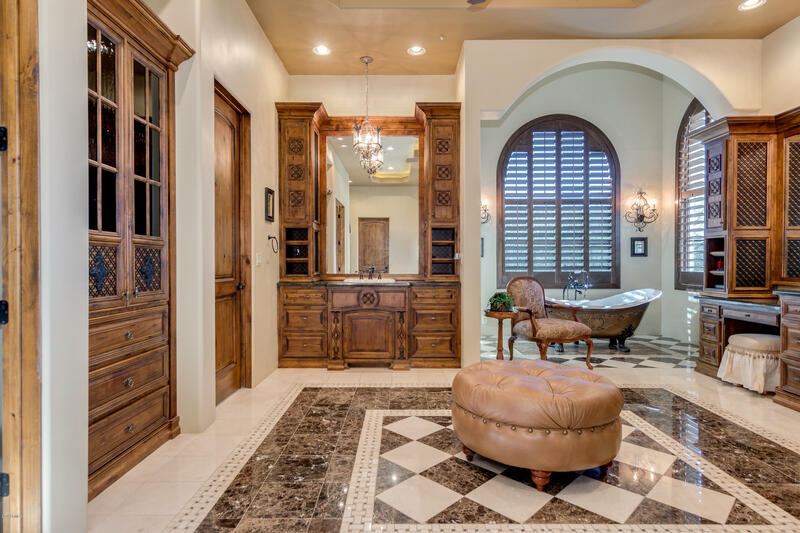 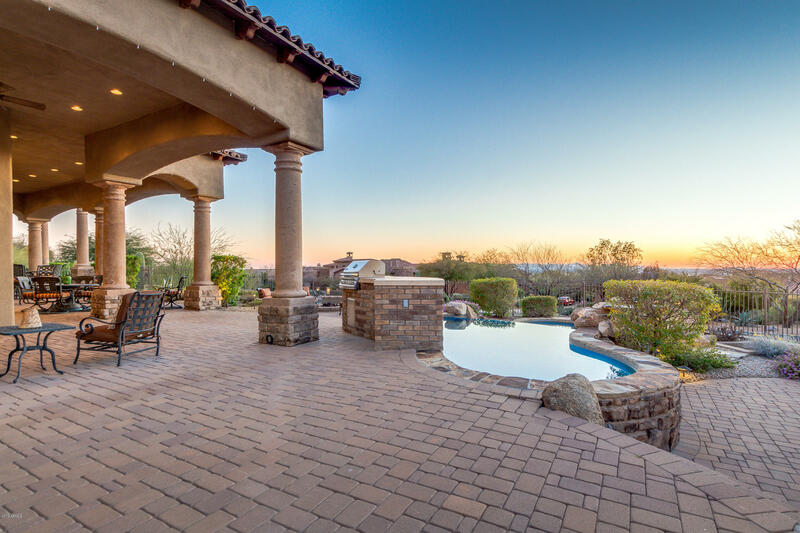 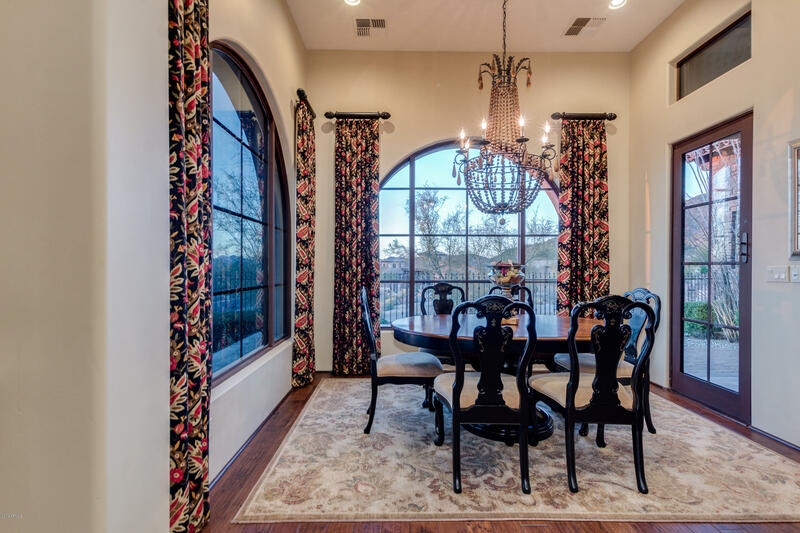 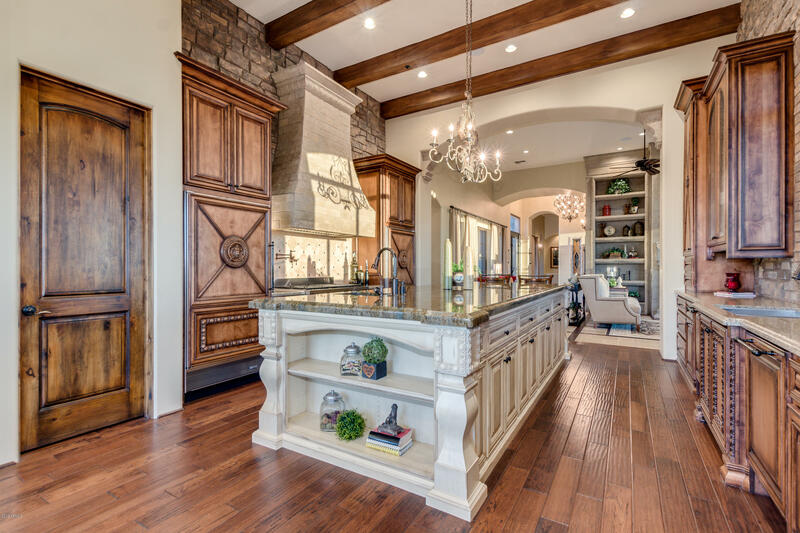 This elegant home boasts unmatched views and fine craftsmanship, including travertine flooring, granite countertops and a cantera stone fireplace. 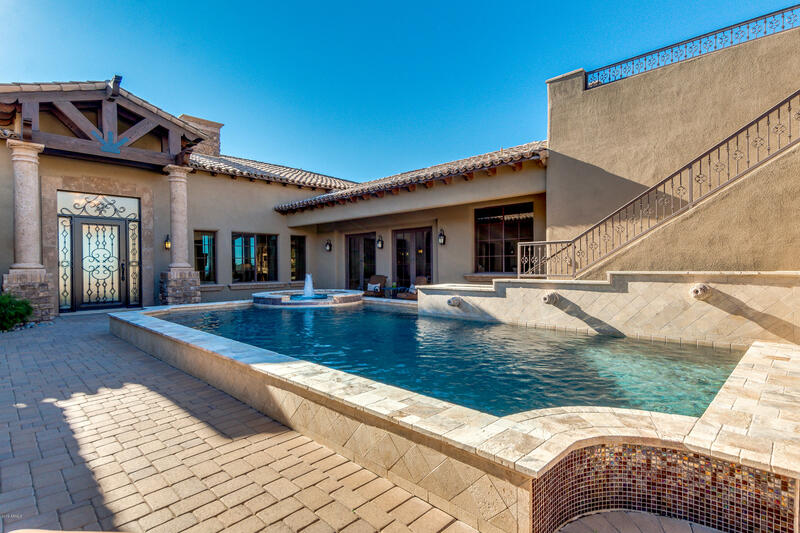 The desired U-shaped floor plan surrounds a Spanish-style courtyard and updated pool, equipped with iAquaLink technology. 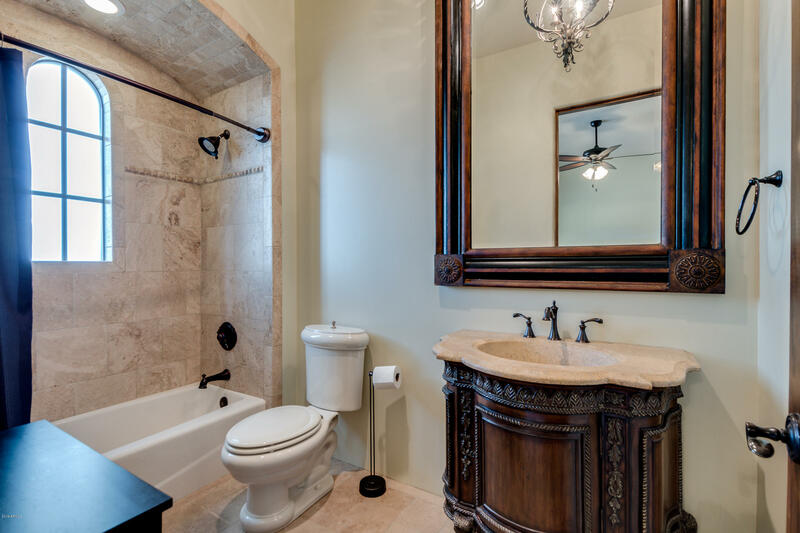 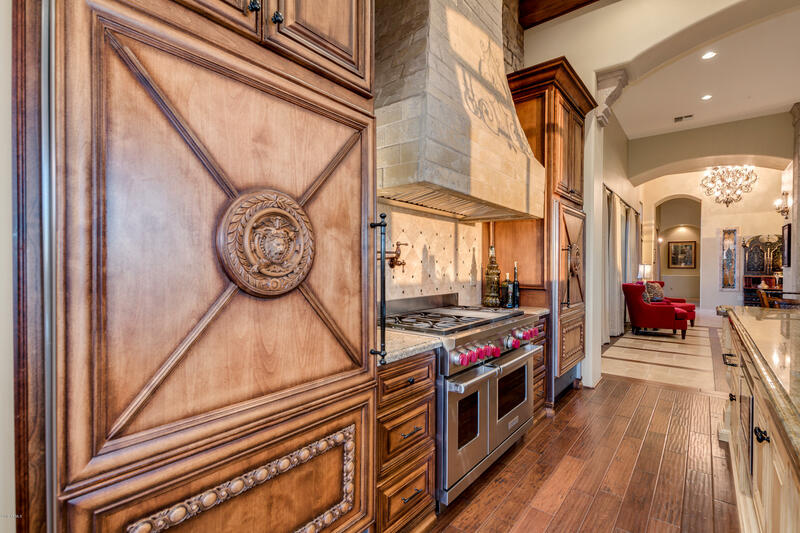 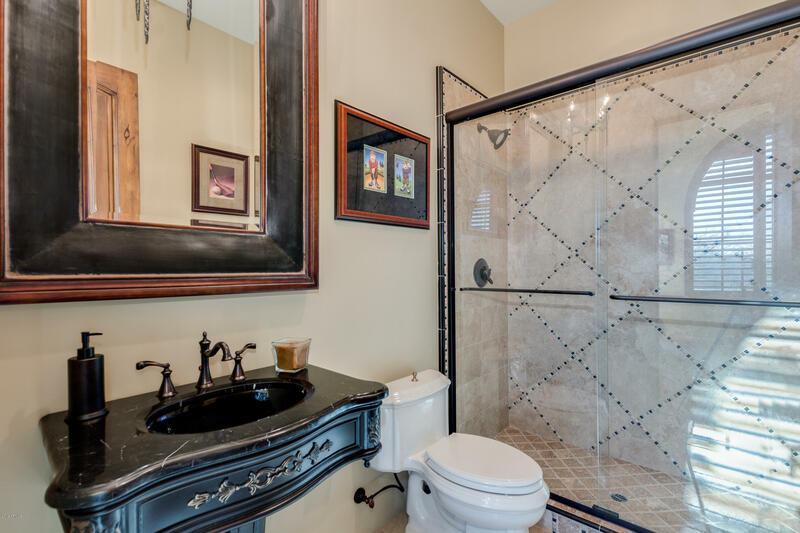 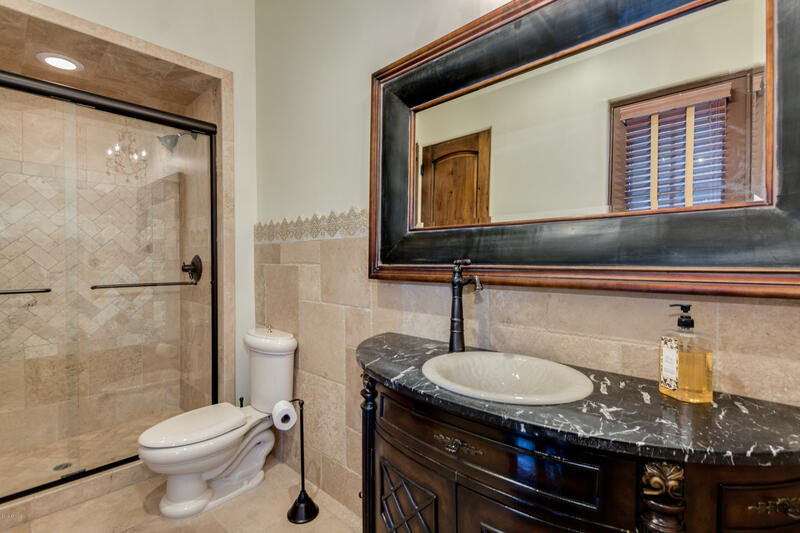 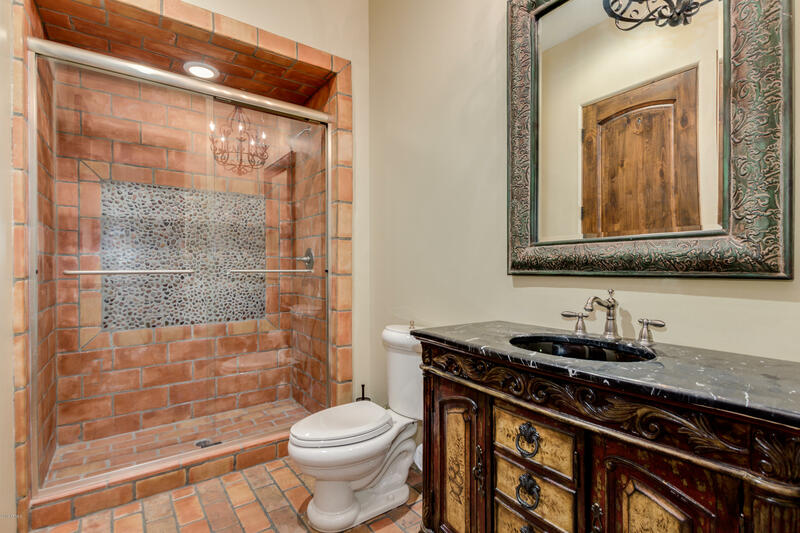 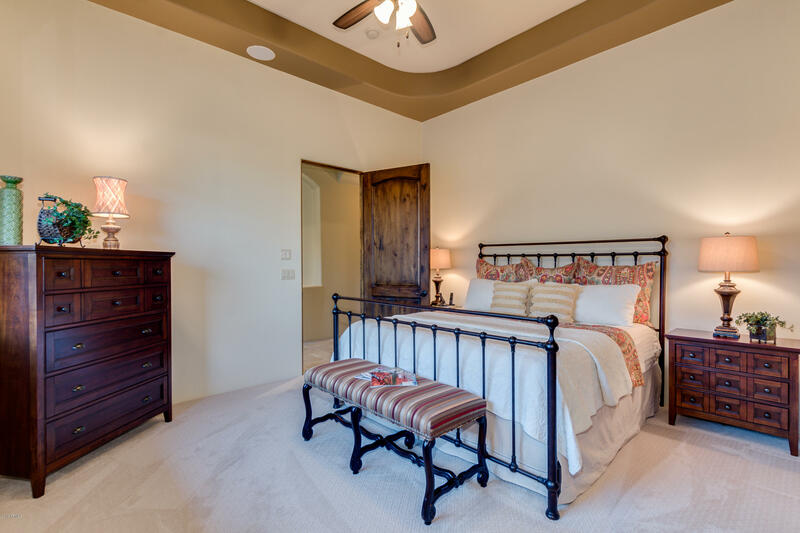 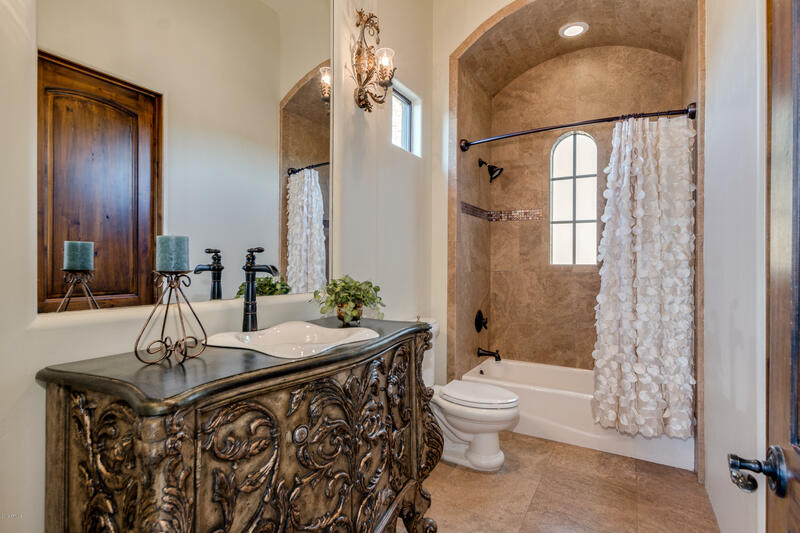 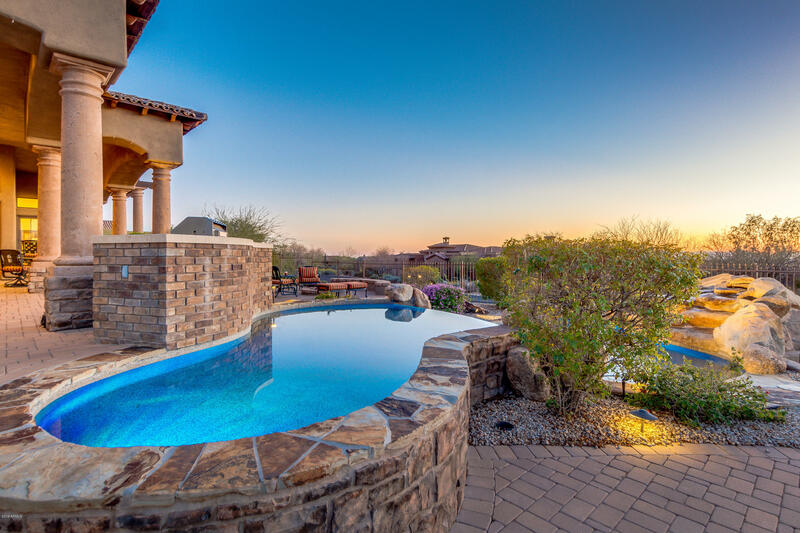 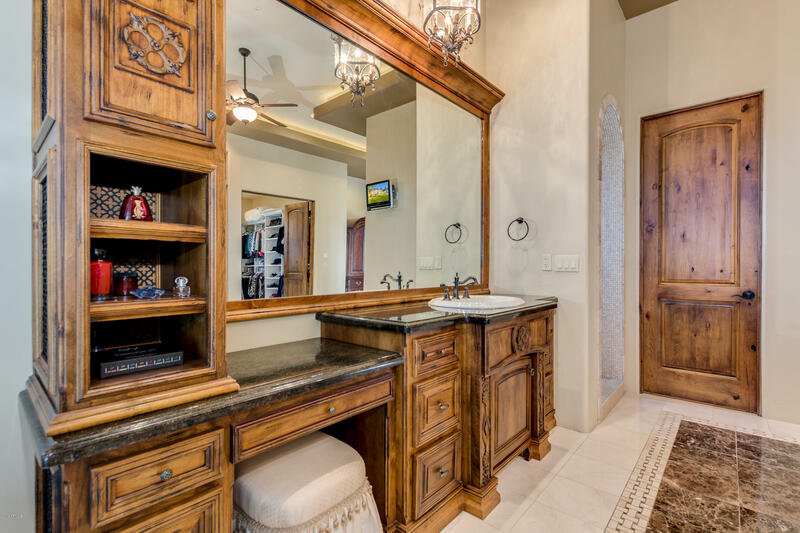 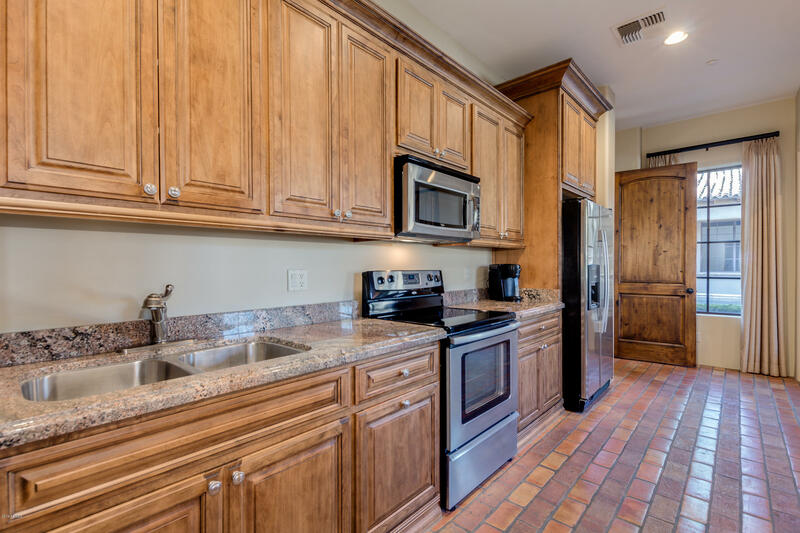 Ideal for entertaining, you will find an en-suite bathroom in each bedroom, a separate guest casita, theater with wet bar, retractable doors for indoor/outdoor living, fire pit, barbecue, misting system, cocktail pool, jacuzzi and Control4. 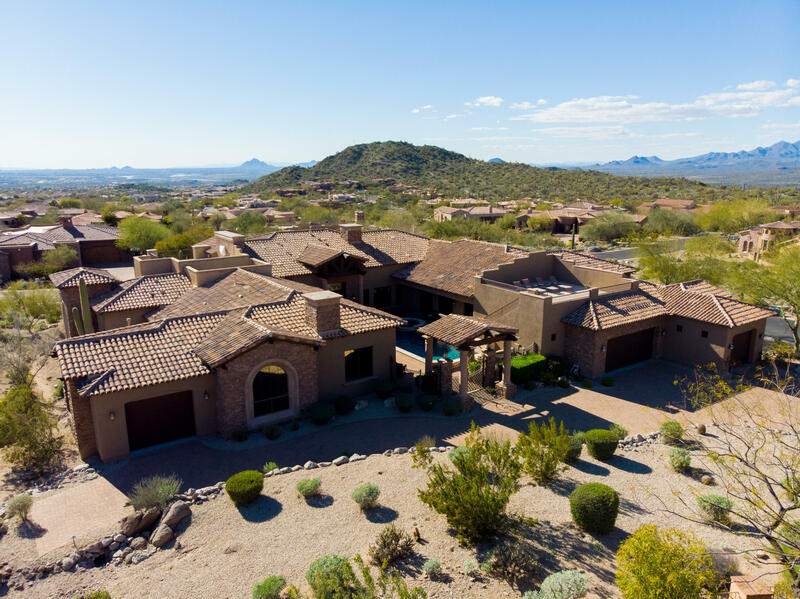 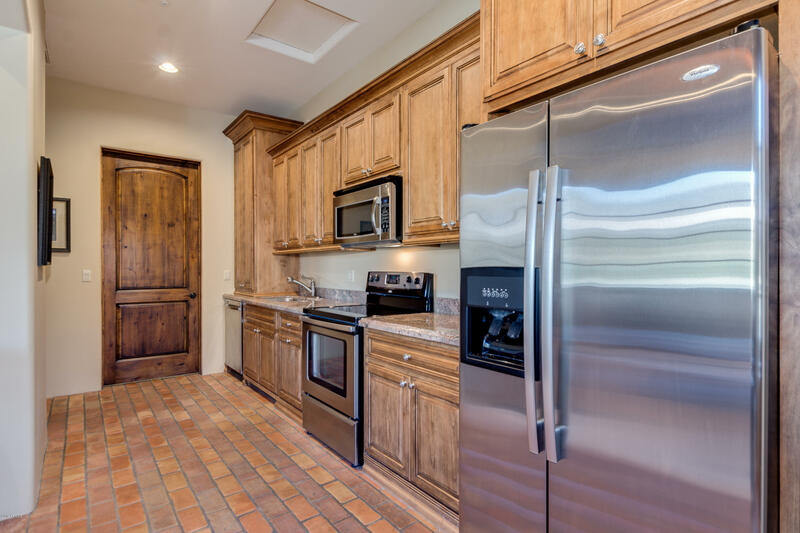 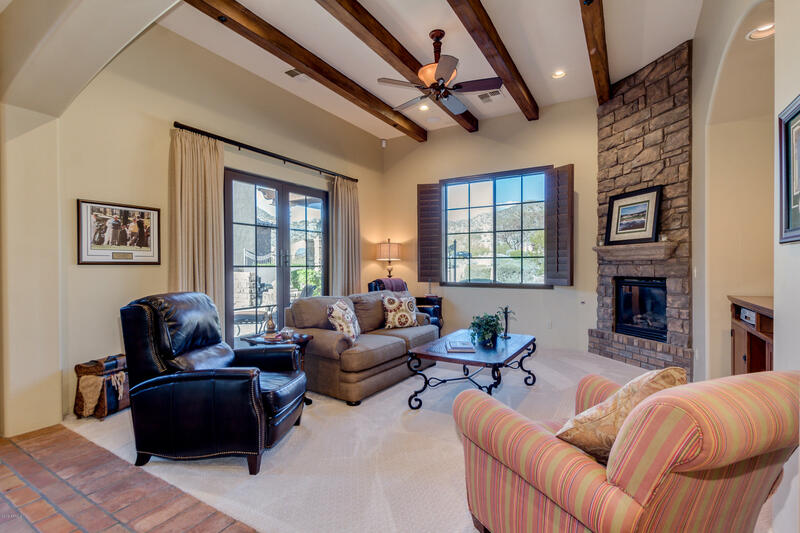 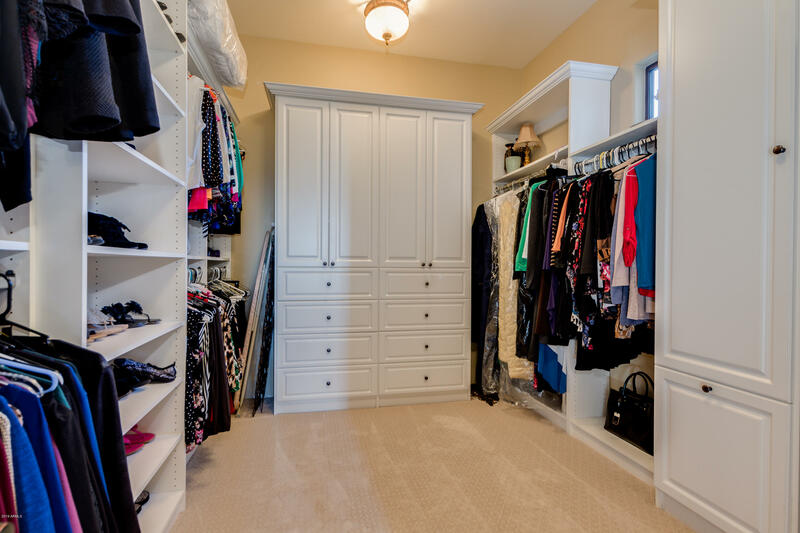 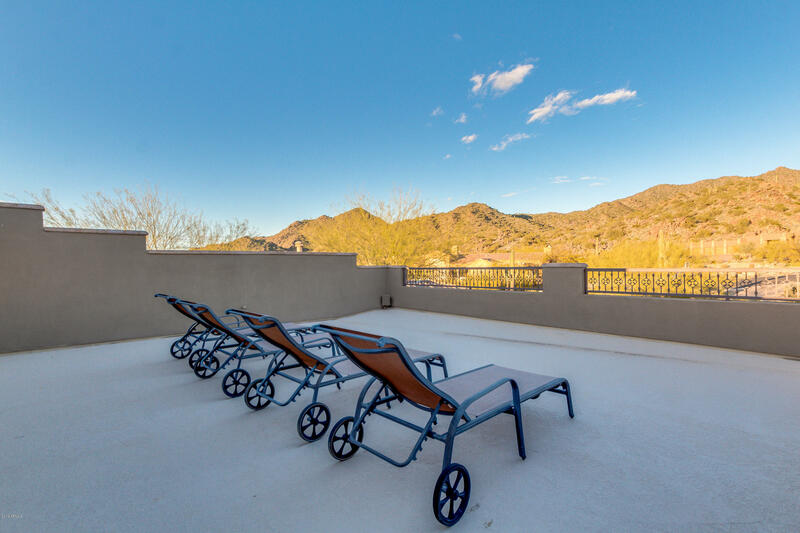 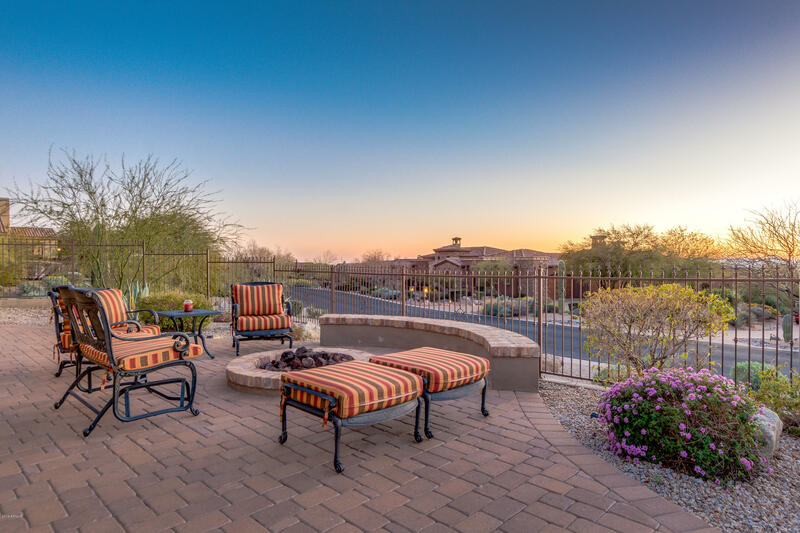 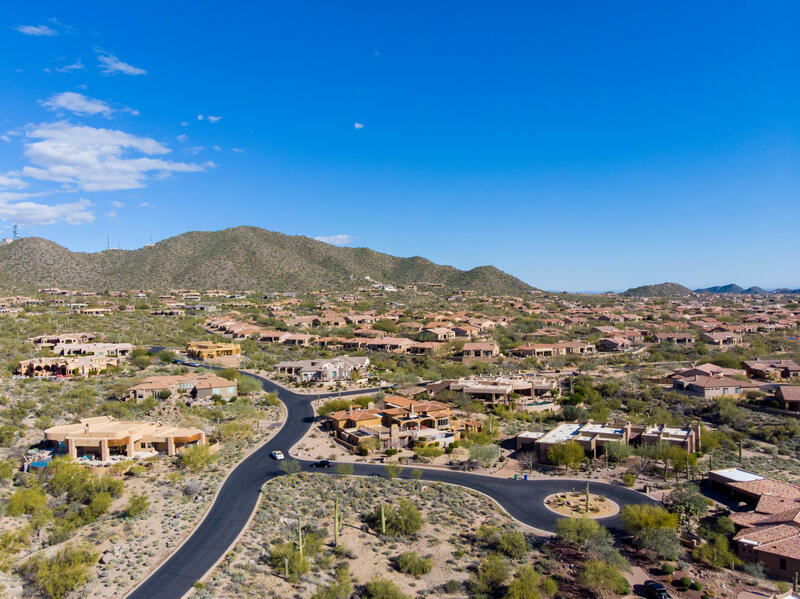 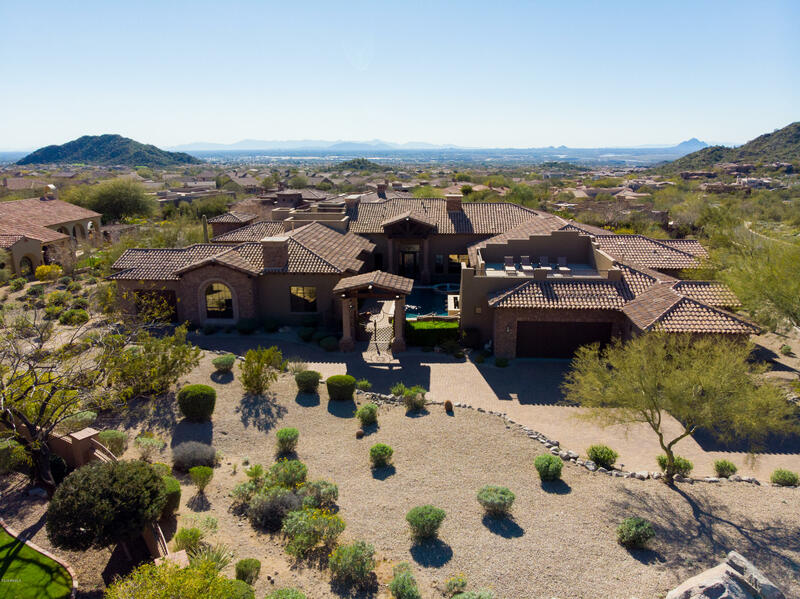 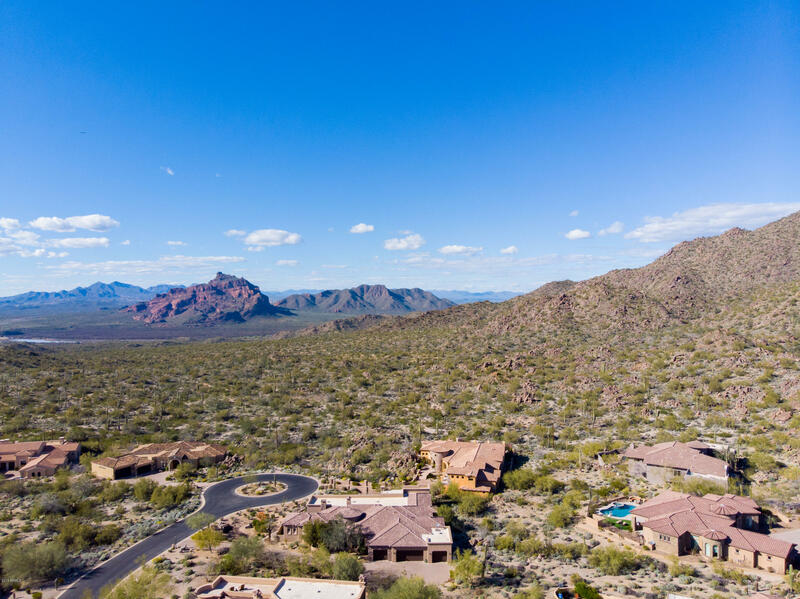 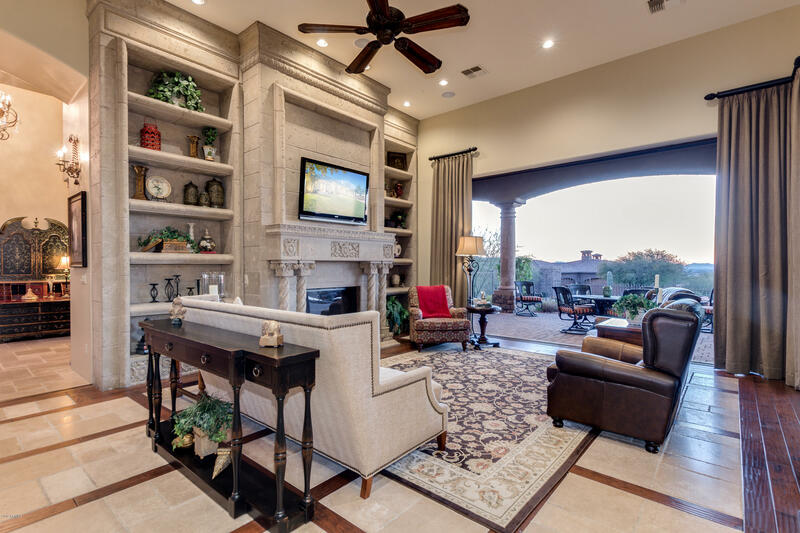 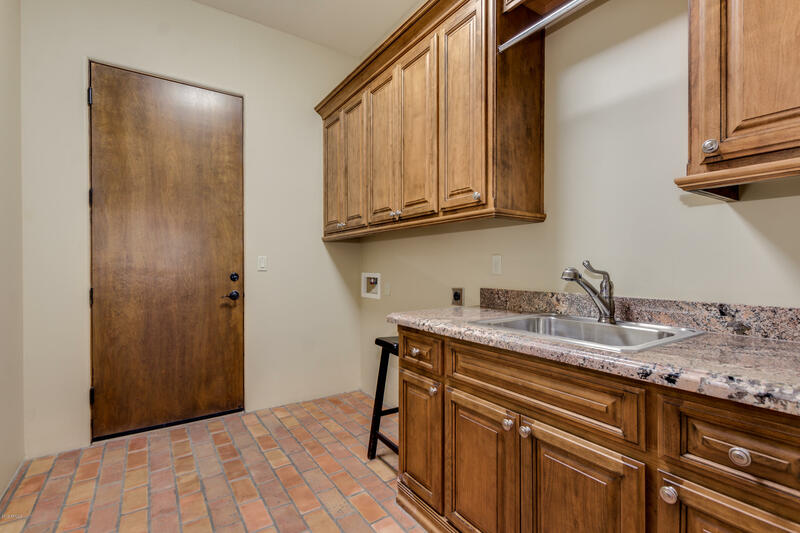 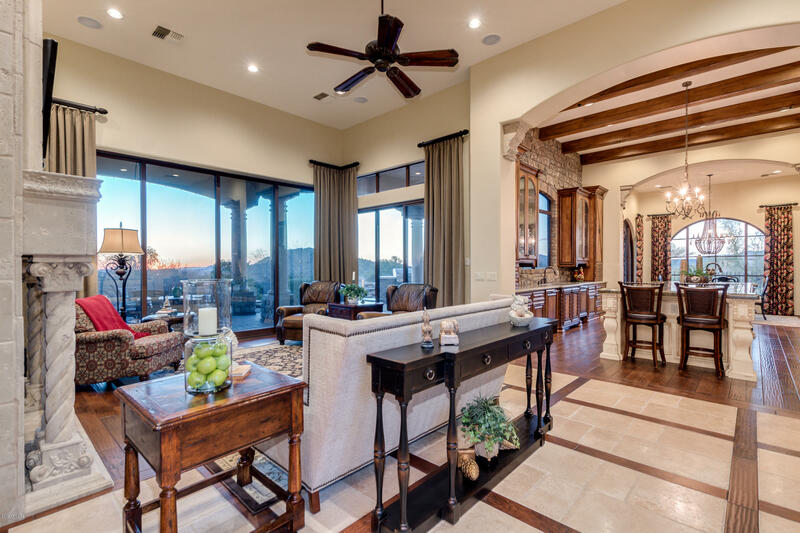 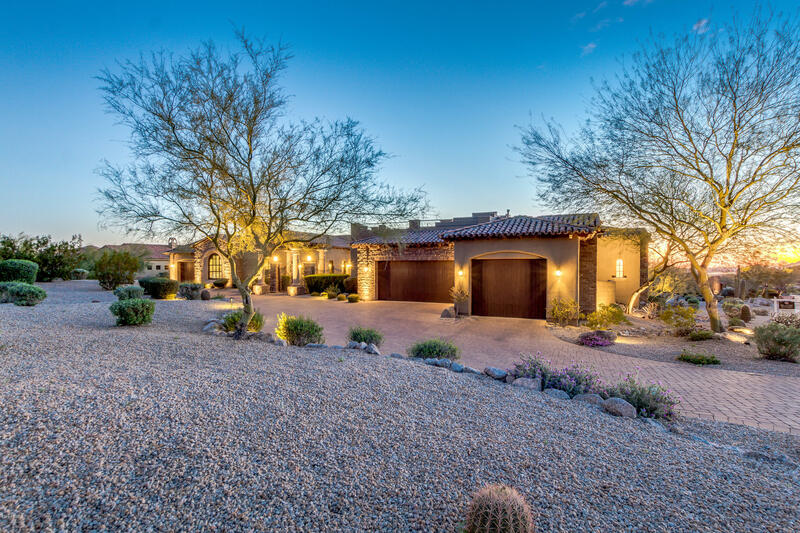 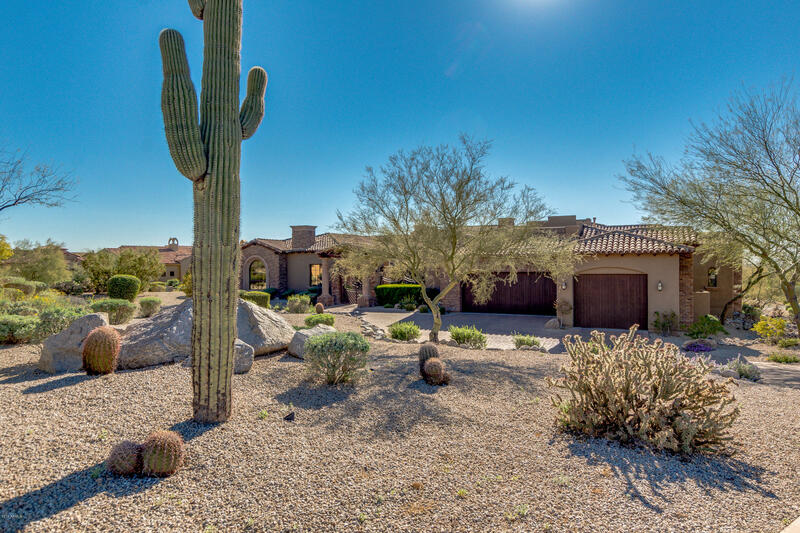 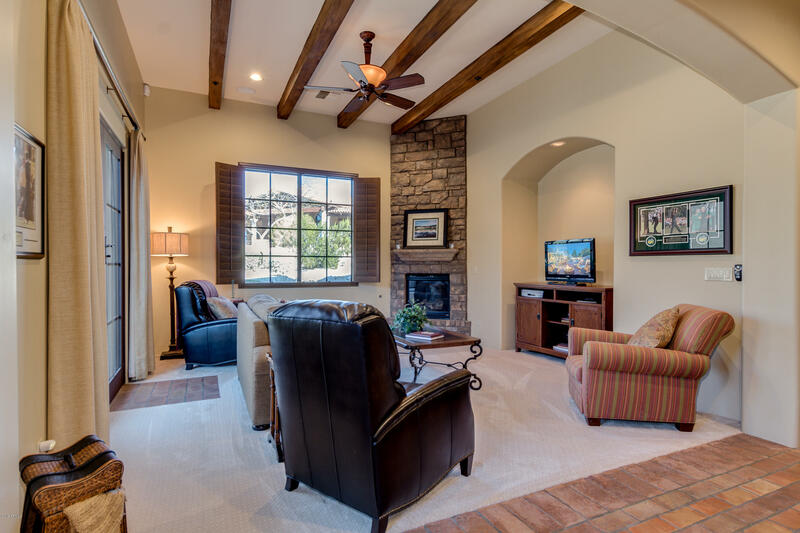 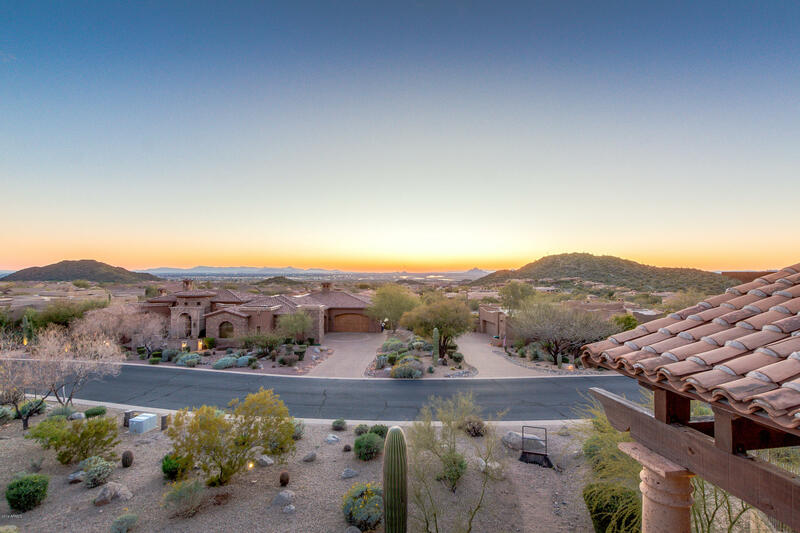 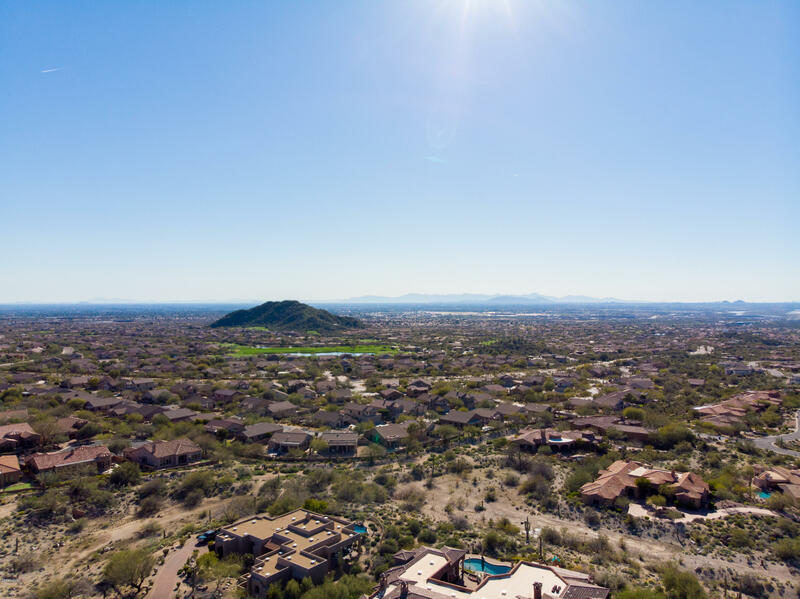 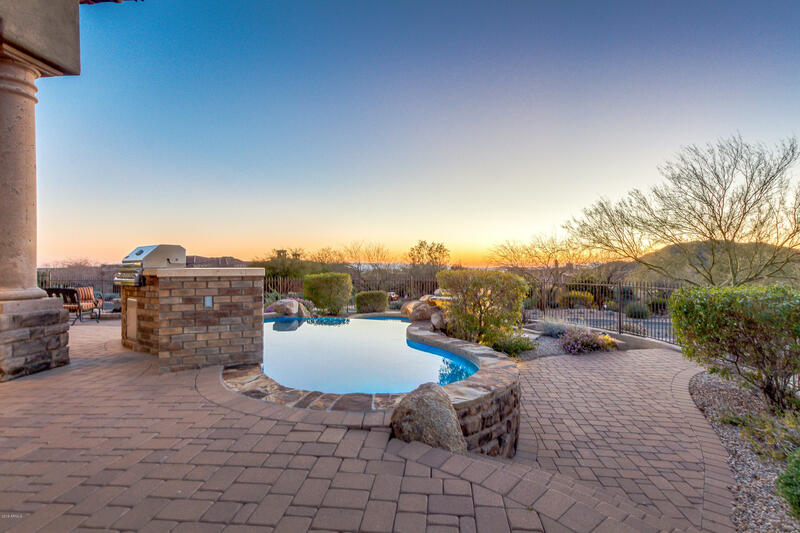 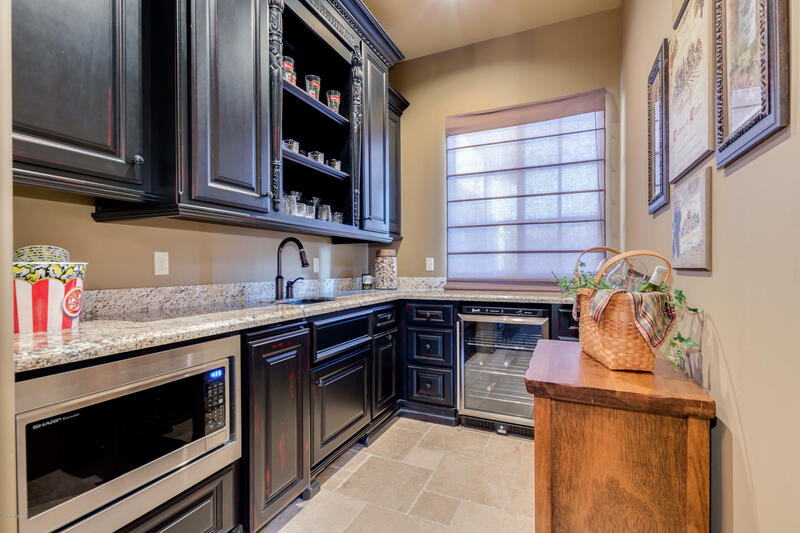 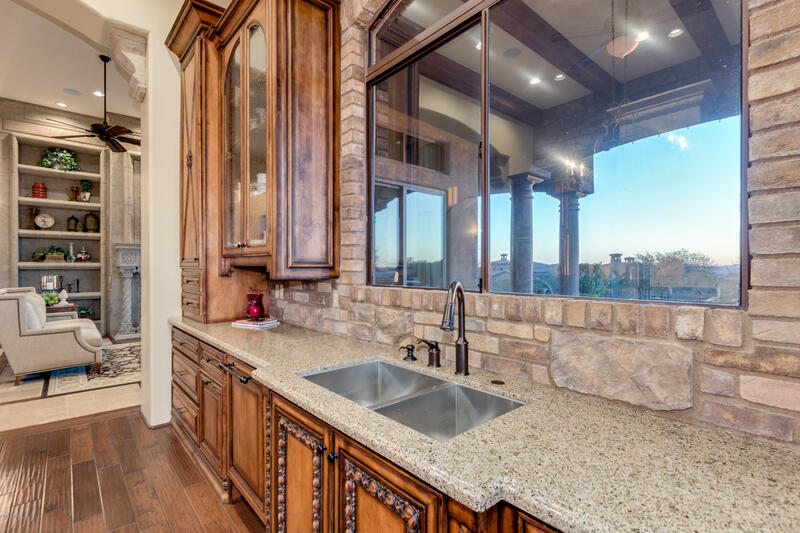 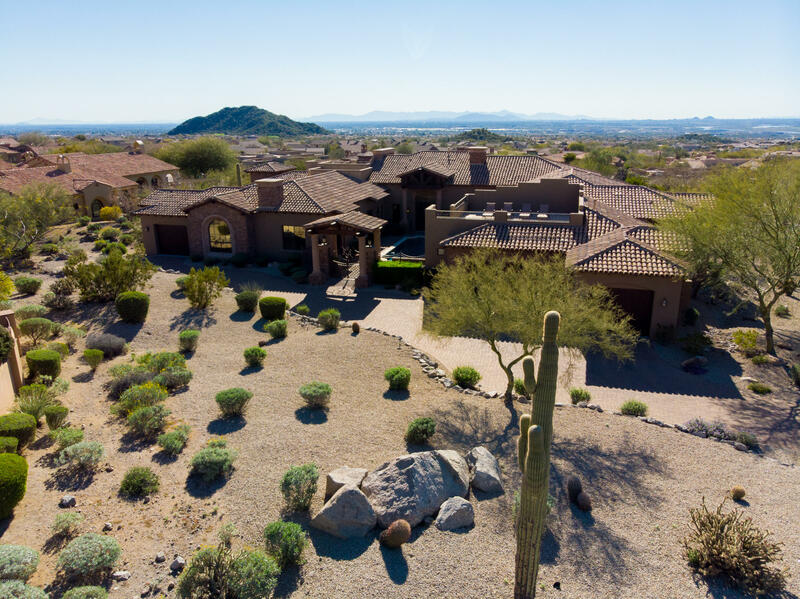 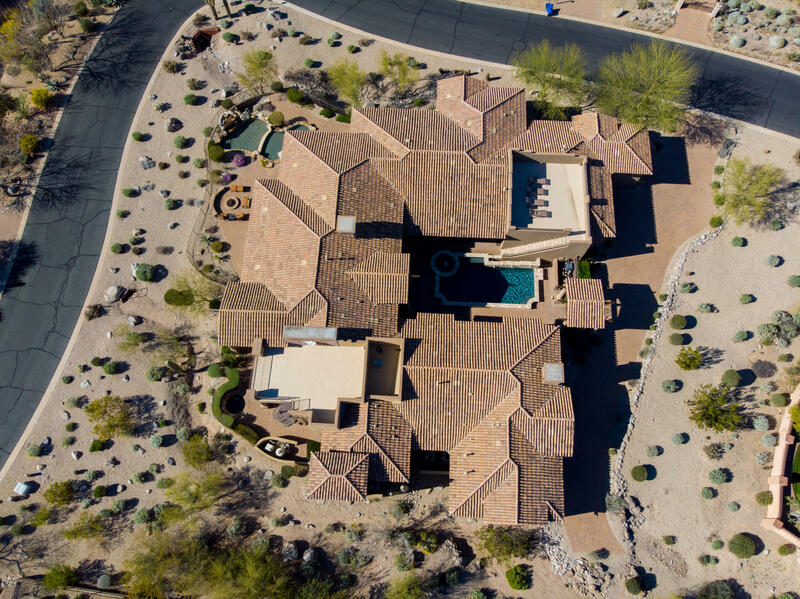 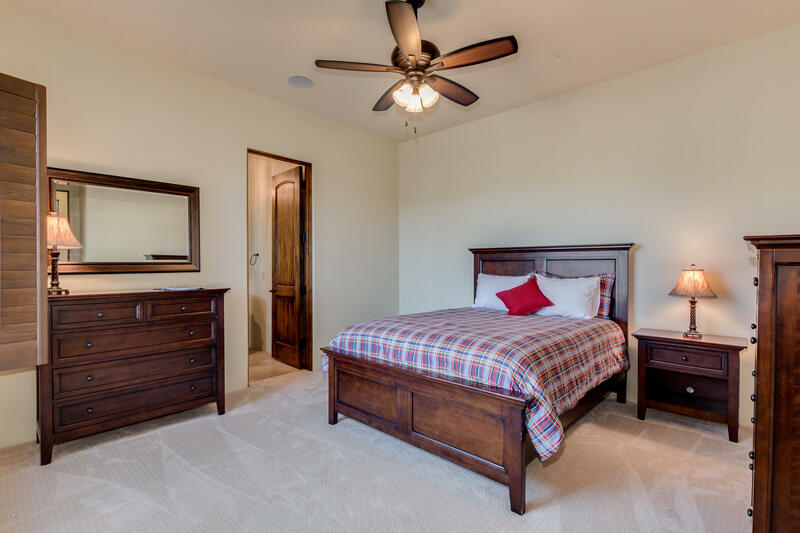 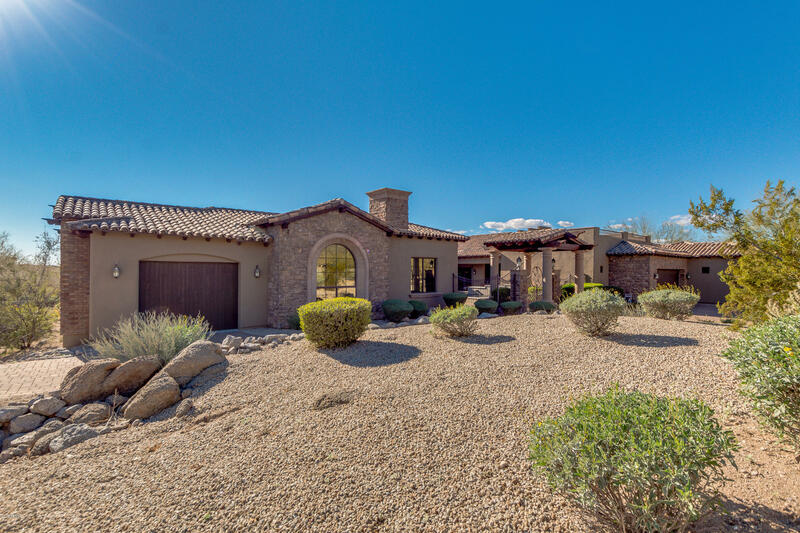 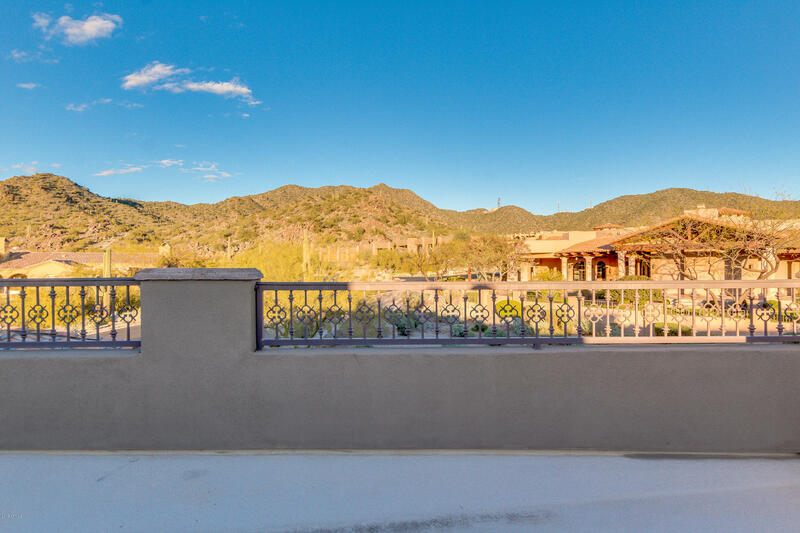 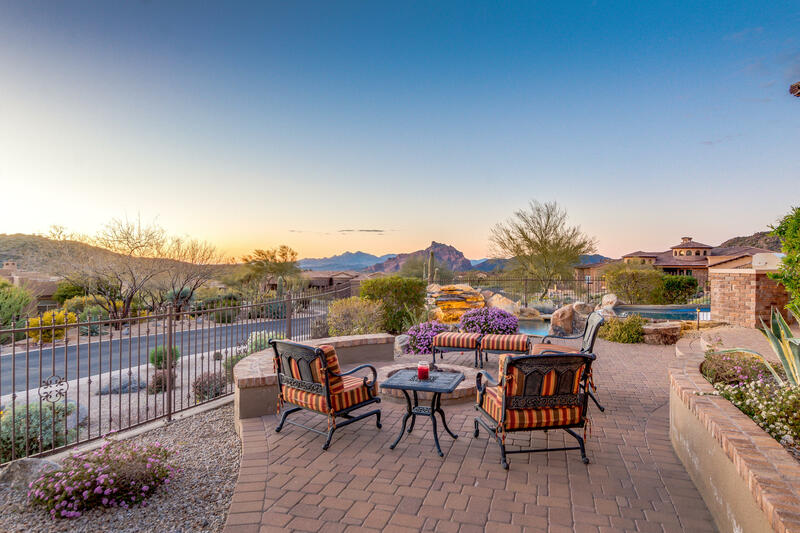 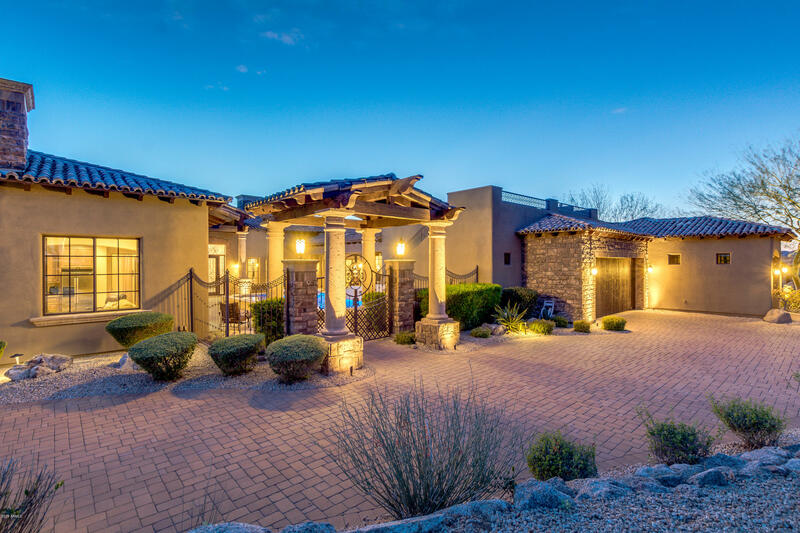 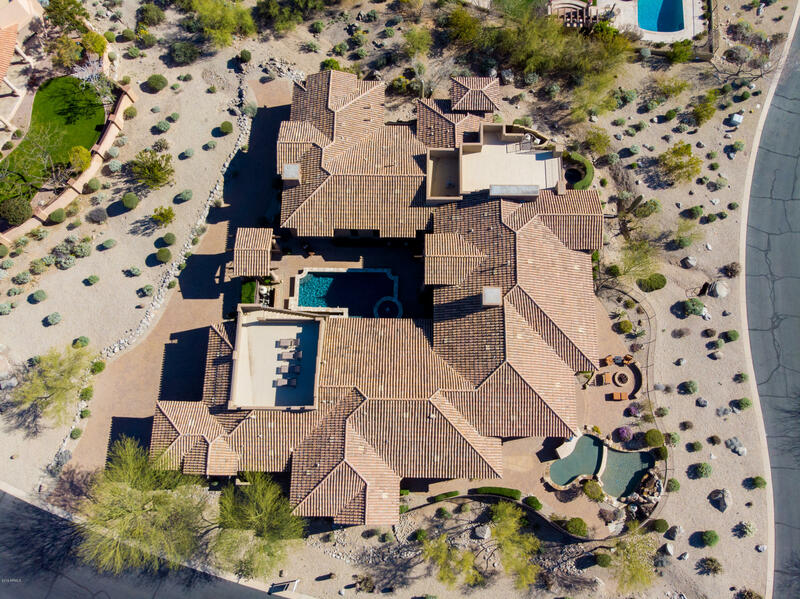 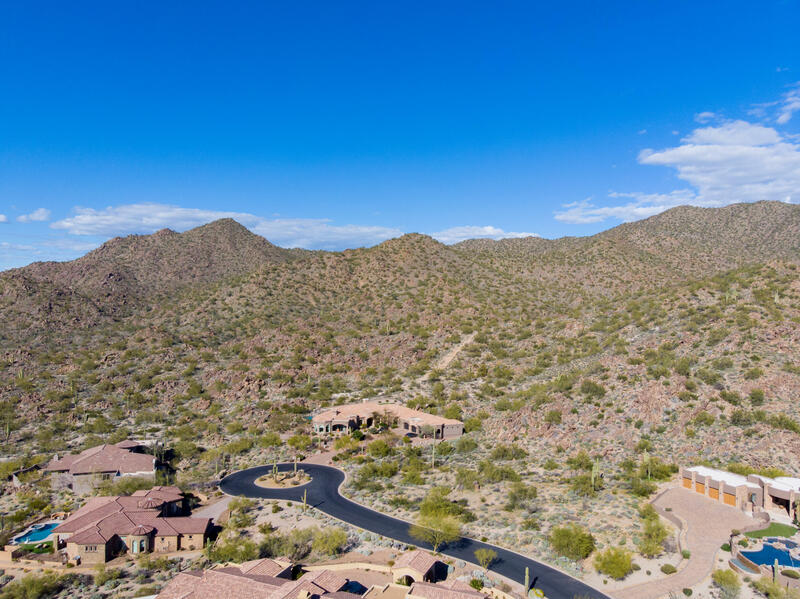 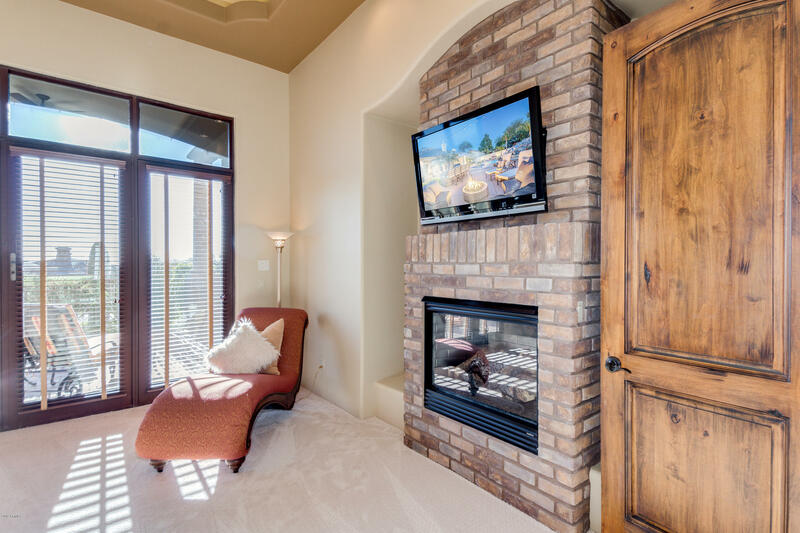 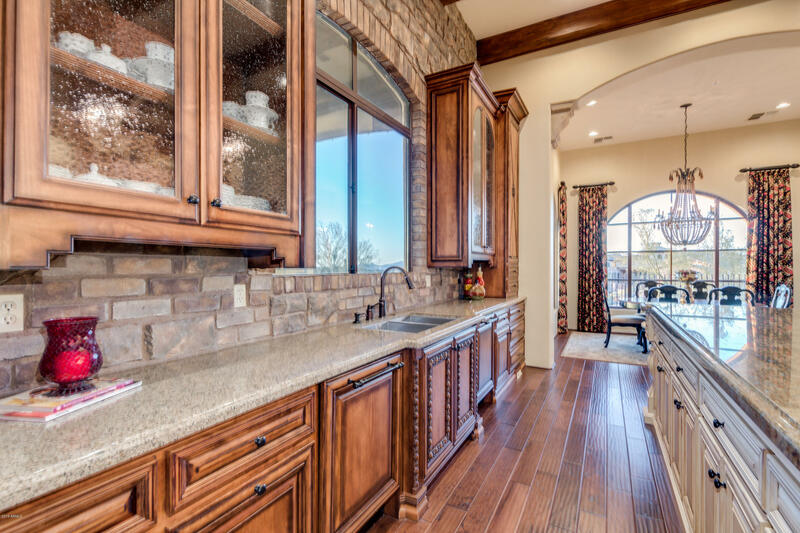 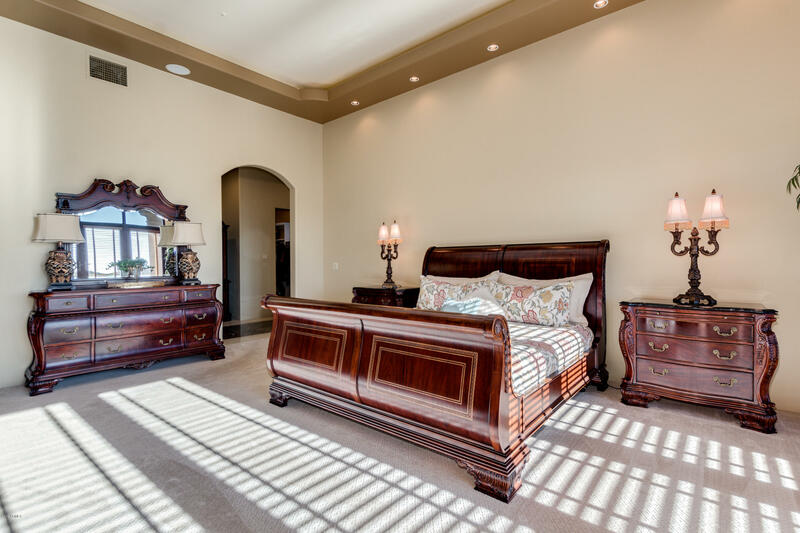 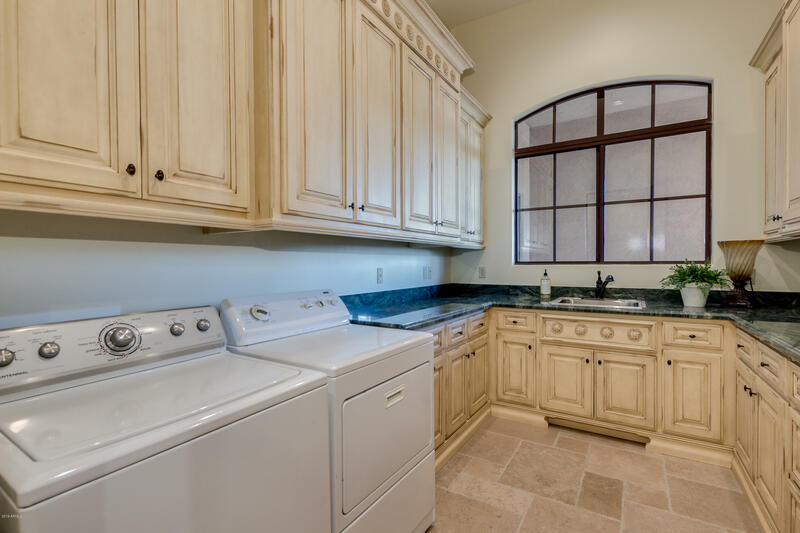 Enjoy high ceilings, Sub-Zero & Wolf appliances, dream master bath with a spa shower and two view decks with clear sights of Red Mountain, Tonto Forest, Camelback and city lights.